You don’t need to be a raw vegan enthusiast to appreciate this beautiful and tasty dessert. 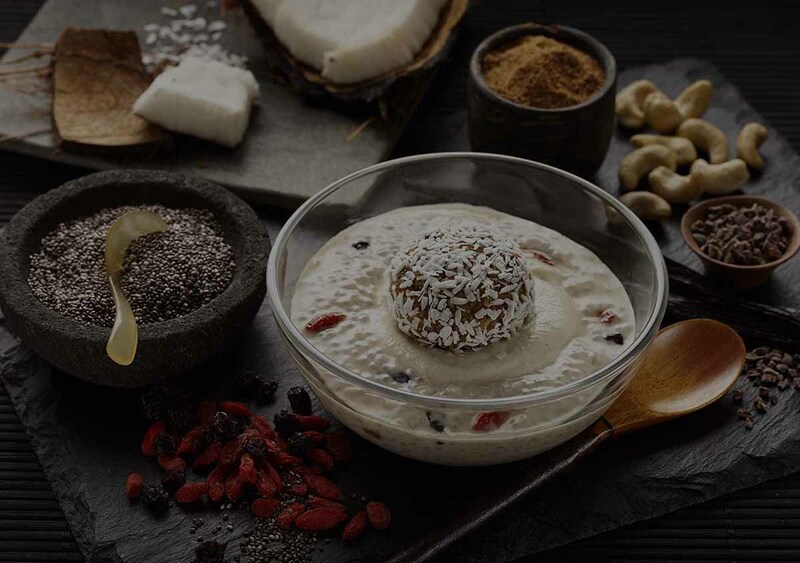 The Raw Chia & Goji Delight is so full of superfoods that it not only satisfies your sweet cravings but also nourishes you. Did you know that chia seeds are high in calcium, fibre, protein, omega-3, omega-6 and antioxidants? In fact, these nutrient-dense seeds were used by the Aztec warriors for energy. Equally nourishing, goji berries were used in Chinese medicine for over 2000 years. Moreover, these berries are thought to fight disease, promote eye health and beautiful skin with its powerful antioxidants. 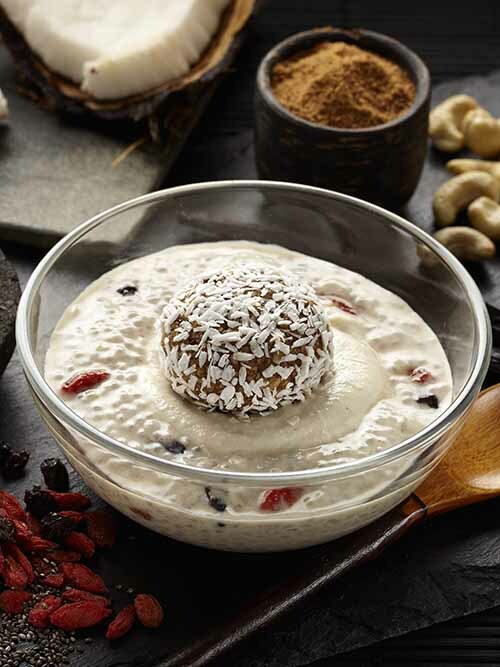 In addition, you get a spoonful of healthy cashew cream and an energising Coco Treat energy ball. The result is the healthiest dessert in the history of raw vegan desserts! Chia Seeds 17%, goji berries 6%, sundried blackcurrants, organic almond milk, cashew nuts, organic coconut sugar, pumpkin seeds, desiccated coconut, raw organic cacao nibs, vanilla extract (vanilla bean, alcohol), cinnamon.